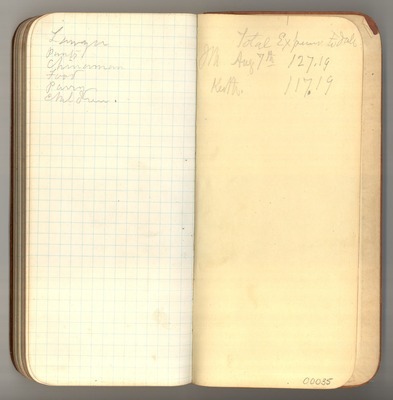 Original journal dimensions: 8.5 x 14.5 cm. To view additional images from the "June-September 1888, Trip with Parry to Lake Tahoe" journal, click here to view the image gallery. To view additional journals by John Muir, click here to view the top level of the collection.